Welcome to October! Fall! Halloween month!! I essentially took September off so I could get one ostensibly-spooky post up per week. Or at least that was the plan; who knows if it’ll actually work out that way. If nothing else, I’ve got the start and end of the month covered, okay? Stop pressuring me. 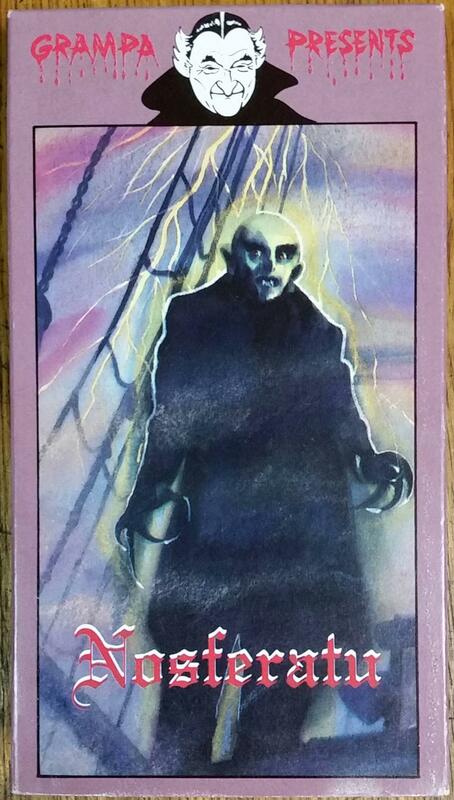 To kick things off, I’ve got the return of Goldstar Video’s Tales of Horror series, a 1991/1992 line of budget tapes that, thanks to their extreme early-90s vibes and cool packaging, I have become fond of. We saw their version of 1947’s Scared to Death back in August, but today we have one that just may be my favorite of their line-up: 1942’s Bowery at Midnight. It’s not because of the packaging, or a particularly unique print of the movie, either; the cover art for all of these was pretty similar, and as for the print, well, I don’t really know, because the tape is sealed and I refuse to open it and ruin the minty freshness. Nope, this is a biggie for me because I just really, really love this movie. It stars Bela Lugosi, so it’s automatically worth checking out anyway, but then it goes one better by having a genuinely engrossing plot. 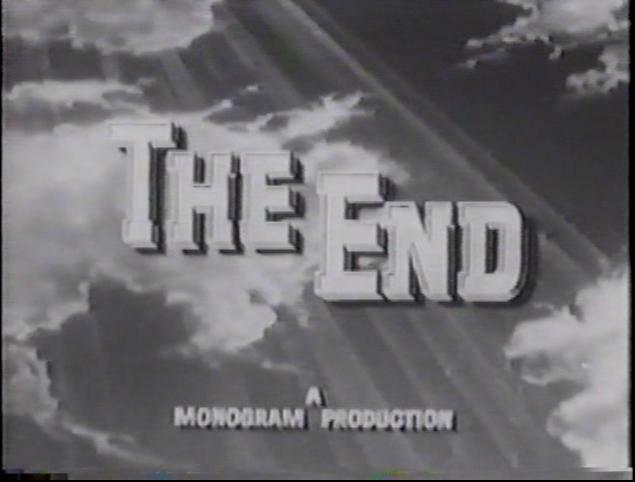 It’s a Monogram production, so the story ain’t exactly high art, but boy did it turn out to be a good flick anyway. 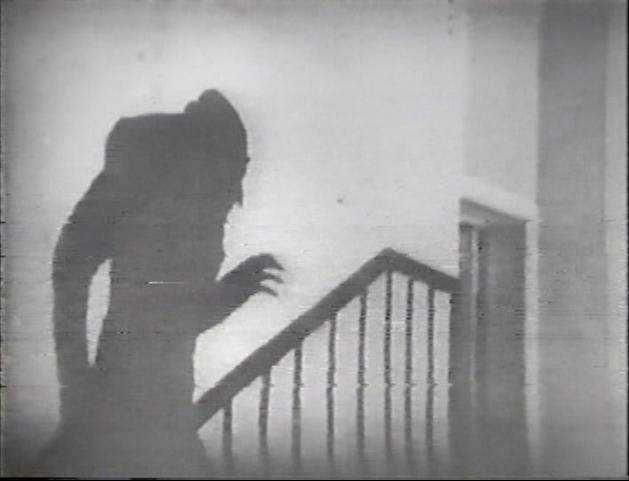 No joke, when it comes to Lugosi, I’m definitely a fan. Sure, Dracula, that’s an easy call. But, because Bela spent so much time on the poverty row circuit after Drac typecast him somethin’ awful, it’s a lot of those cheapie movies from the 1940s that I come to first when I think Lugosi. The Devil Bat? Great flick! 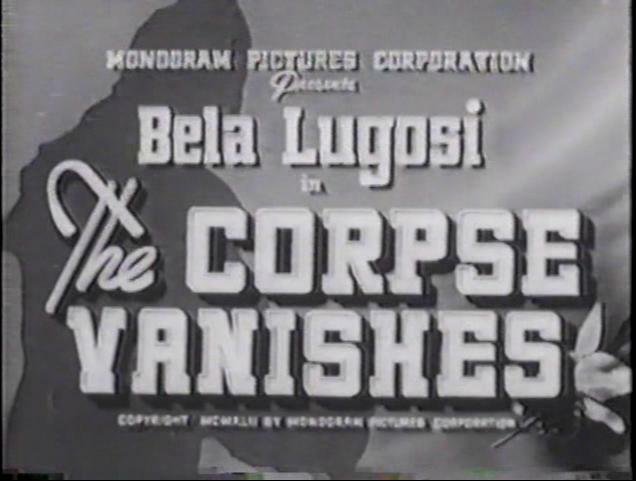 The Corpse Vanishes? That too. And amongst those personal vaunted ranks: Uh, Bowery at Midnight, obviously. And don’t think that just because these were quick paychecks for him that his performances suffered; Bela always gave a role his all. Because it’s long been in the public domain, Bowery at Midnight has had more than a few budget VHS, and now DVD, releases. It’s not one of his more ubiquitous films to be found in this arena though, and that’s a shame, because as far as I’m concerned it’s one of his best cheapies. The cover art here follows the same template as all of Goldstar’s Tales of Horror entries. That is, white background, accented by a series title that’s dripping blood, a grainy filmstrip screenshot of the movie down the middle, and a volume number at the bottom-right (which is housed in a pool of the blood). This was the set template for the line, with only the specifics changing (movie title, volume number) changing from release to release. This particular entry was volume 12, of which there were at least, at least 24 volumes. Anyone know exactly how many were released? 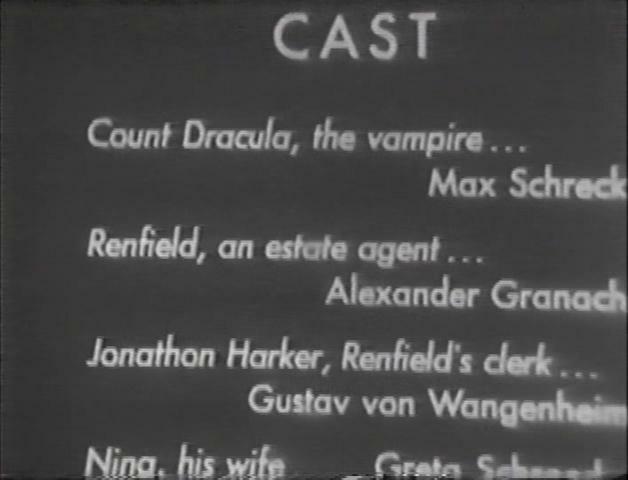 The screenshot used actually isn’t a single still taken from the movie, but rather a composite; Bela plays a dual-role in the flick, as a college professor by day, nefarious soup kitchen operator by night, and both personas were aptly placed into the scene. Good move on Goldstar’s part! The only thing I really find suspect here is the misspelling of Bela as “Bella” on the packaging. Hey, it was a budget video, typos happen, but it’s not like his name isn’t at the start of the movie, and besides, they got the spelling right on the Scared to Death cover. (In Goldstar’s defense, I’ve seen this misspelling from other manufacturers, as well.) Oh, and it’s Bowery at Midnight, no The, but that’s small potatoes, yo. The synopsis on the back isn’t bad. Bowery at Midnight is, for the most part, more of a crime thriller, though Goldstar did well to point out the legit, albeit somewhat inexplicable, horror twist. Though, referring to Bela as the “night manager” of the mission is, uh, no. He owns and runs the joint; he’s not some underpaid clerk at an all-night convenience store somewhere! “Let me get you your lottery tickets, my friend…” Also, his offing of (most) of the people he enlists isn’t so much because he’s threatened by them as it is a precautionary measure. I’m not trying to rag on Goldstar’s summary, though; compared to many budget labels and the synopsis on the back sleeve (if there even was a synopsis), this is practically a cornucopia of information! Plus: 1992 – a 25 year old tape! The sad fact of the matter is that’s a bit newer than much of the stuff I bring home, VHS-wise. I don’t know when any of these were released (the line apparently started in 1991, and I would guess the tapes continuously floated around for a few years afterward), but I’m assuming they were more readily available during the fall months, in which case I was 6 years old for Halloween ’92. Can’t remember what I went as that year, but there’s a good chance it included a mask I couldn’t stand wearing for longer than 12 seconds. I didn’t have any of these tapes as a child. I was more into cartoons and video games at the time; my love of vintage horror and sci-fi would flourish about 5 years later. Fun Fact: Freehold, New Jersey was the childhood home of Bruce Springsteen. 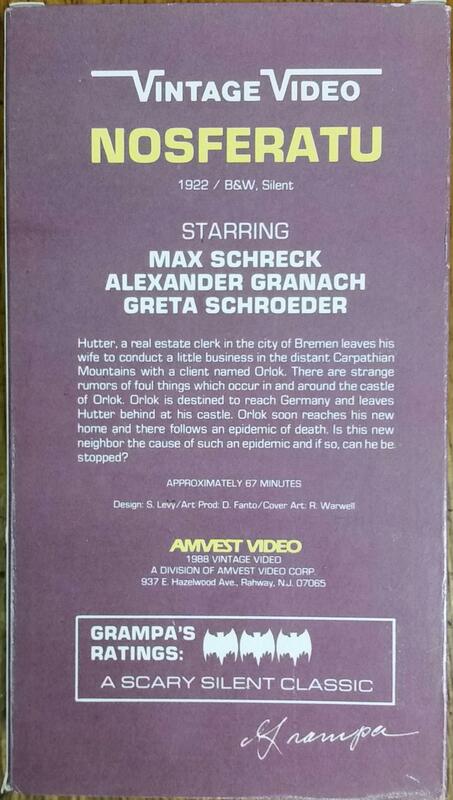 Also, the Grampa tapes were manufactured in Rahway, NJ. So, was Jersey like the unofficial capital of low-cost VHS or something? Bowery at Midnight. Why do I like this movie so much? 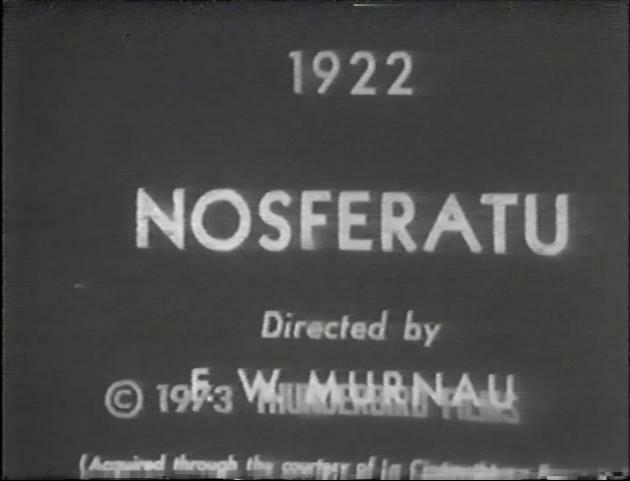 Besides an undying affinity for poverty row horror of the 1930s and 1940s, and my Lugosi fandom, it’s just a genuinely good movie. I gave it a cursory glance for the first time only a few years ago, admittedly without much enthusiasm, and yet, quickly found myself positively engrossed in it. It’s also a solid example of 1942 wartime matinee entertainment. It just feels like something that could have come out in the early-1940s, though I’d be hard-pressed to fully explain that feeling. Maybe it’s the fast pace (there’s only a little over an hour to work with here) and dark-yet-also-kinda-wacky plot. Furthermore, I love the NYC setting of the film (though I have no idea if it was actually filmed there or not). I guess what I’m haphazardly getting at is this is a real time-capsule of poverty row cinema, though I guess poverty row cinema is a time-capsule in and of itself, huh? I totally lost where I was going with this paragraph. With Monogram at the helm and “Bowery” in the title, it’s impossible to not think of the East Side Kids, which truth be told, was initially what I took this for. 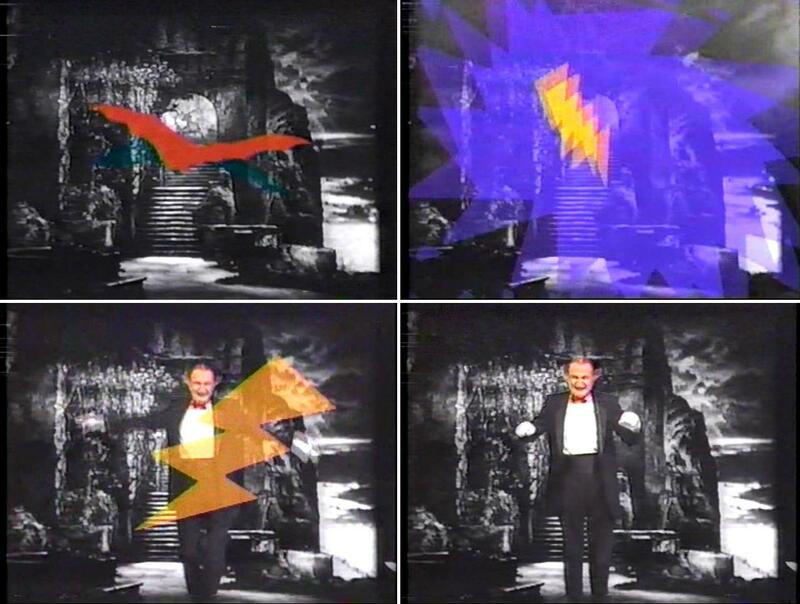 Bela did two of those, but in my opinion, this is so, so much better – though aside from the studio and setting and star, there isn’t much comparable between the two (or three). Like I said, Bowery is primarily a crime thriller, but with a random horror twist. Brief plot rundown: By day, Bela is a mild-mannered college professor. By night, he’s a criminal mastermind using his Bowery-based soup kitchen as a front. He likes to enlist patrons of the kitchen for his robberies, and then off them before they can get too comfortable in their positions. 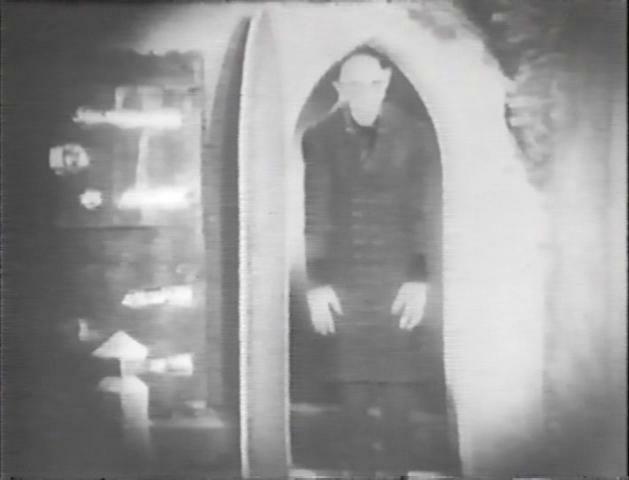 He also has a wacky-jack scientist living in the basement of the soup kitchen, who requires corpses for his experiments, so it’s a win-win for him, even if Bela don’t give him no respect. Add to it a kind volunteer at the mission, her nosey boyfriend (who happens to be one of Bela’s college students), a just-promoted cop, some comic-relief bums, and an ending that’s too head-scratching to not love, and you’ve got a really fun hour or so of entertainment. The film briefly hints at Bela actually having a legit split-personality, though it never really goes anywhere with the idea. The “daytime professor” plot element as a whole is kinda undercooked too, though with only 60+ minutes to play with, the movie made the wise choice of mainly focusing on the mission. I really do love this flick, and to have it in this early-1990s, budget VHS form, it just seems so perfect. These Tales of Horror tapes have a very Halloween-ish look and feel to them; they seem like the kind of thing consumers would be stumbling upon not only at video stores but also supermarkets and the like come the fall months. 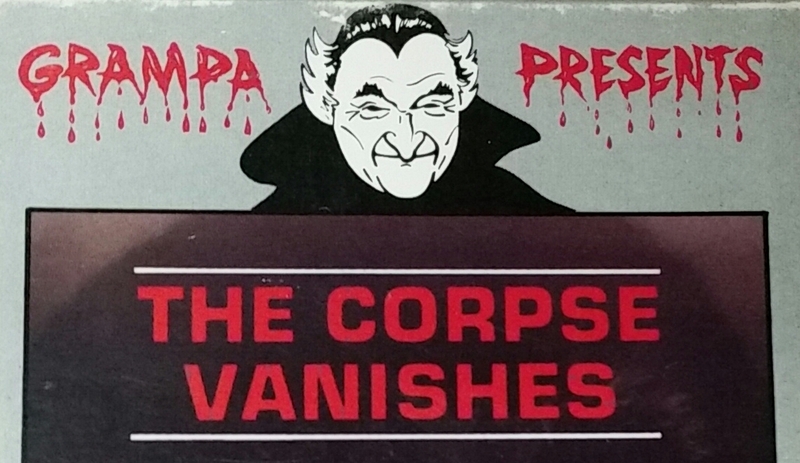 Needless to say, these Tales of Horror tapes are all way, way out of print, and as mentioned, somewhat obscure in this day and age, though none of them command very much. Not that I’ve seen, anyway. That’s not to say you can’t get your Bowery at Midnight on, though; it’s public domain, so there’s no shortage of options out there, though the best I’ve seen is the terrific Roan DVD. And so, with that, the post comes to a close and Halloween month has been kicked off here at my stupid dumb blog. Stay tuned, more ostensibly-spooky stuff to come! Hopefully. 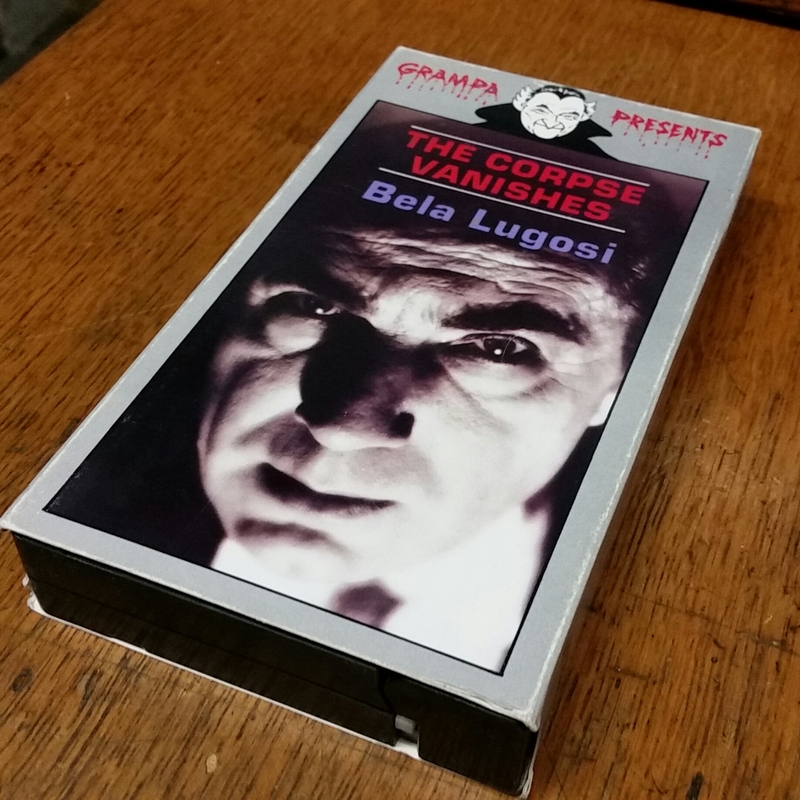 This entry was posted in Uncategorized and tagged bela lugosi, bella lugosi, bowery at midnight, bowery at midnight 1942, bowery at midnight rreview, budget tape, budget vhs, budget vhs tape, budget video, film review, gold star, goldstar vhs, goldstar video, lugosi vhs, monogram pictures, movie review, poverty row, poverty row horror, tales of horror, tales of horror gold star, tales of horror goldstar, tales of horror video series, vhs review, vhs series, video series on October 2, 2017 by neovideohunter. 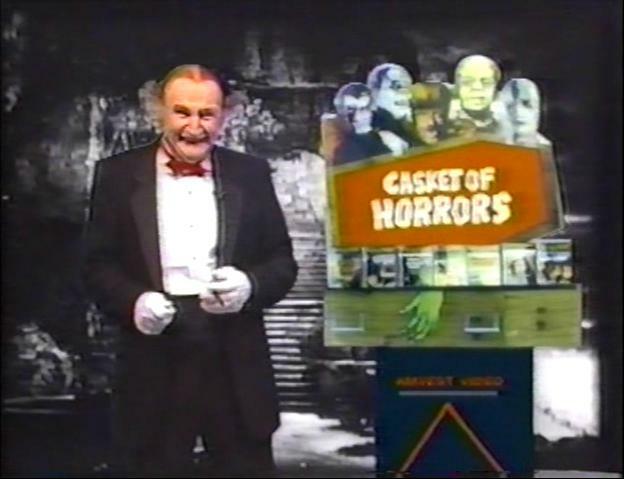 Meet my newest video obsession: Goldstar Video Corporation’s Tales of Horror budget VHS series. It may not be my biggest video obsession (that title still belongs to Amvest Video’s Grampa Presents tapes), but it’s definitely my most recent. And truth be told, it is in a safe 2nd place…for now, anyway. You know, these tapes had been nagging at me for awhile, and upon first glance, y’all may be wondering why. After all, the movies featured were the same public domain staples that had (have) been making the home video rounds for decades. 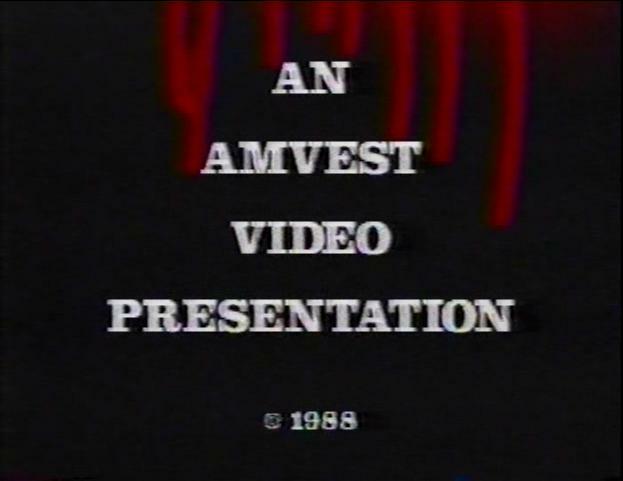 And, unlike the Grampa Presents series, there was no made-for-video horror hosting amongst the proceedings. Add to that a graphical layout that’s practically the budget VHS “tradition” in a nutshell and, well, there’s a reason people aren’t bidding these up to $100+ on eBay, okay? Plus, I’m just sucker for budget VHS horror and sci-fi in general. There was really no way I couldn’t end up loving this series, truth be told. So anyway, my tape. That’s it above. 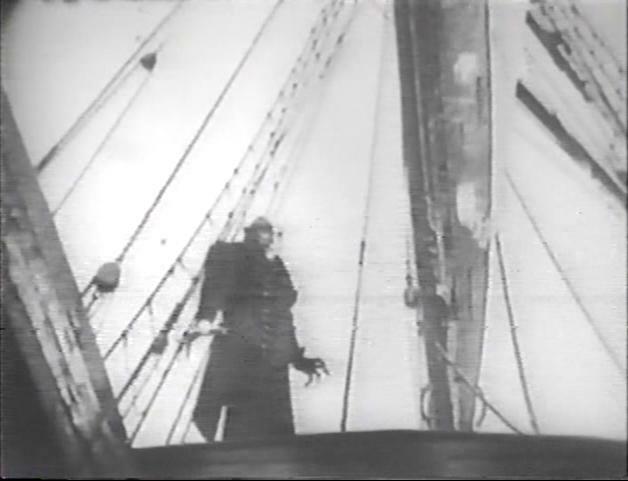 As my inaugural entry into this series, I chose 1947’s Scared to Death, starring Bela Lugosi. Bela has gotten more than a little spotlight time on this blog, but Scared to Death, despite my waxing fondness for it, has not. 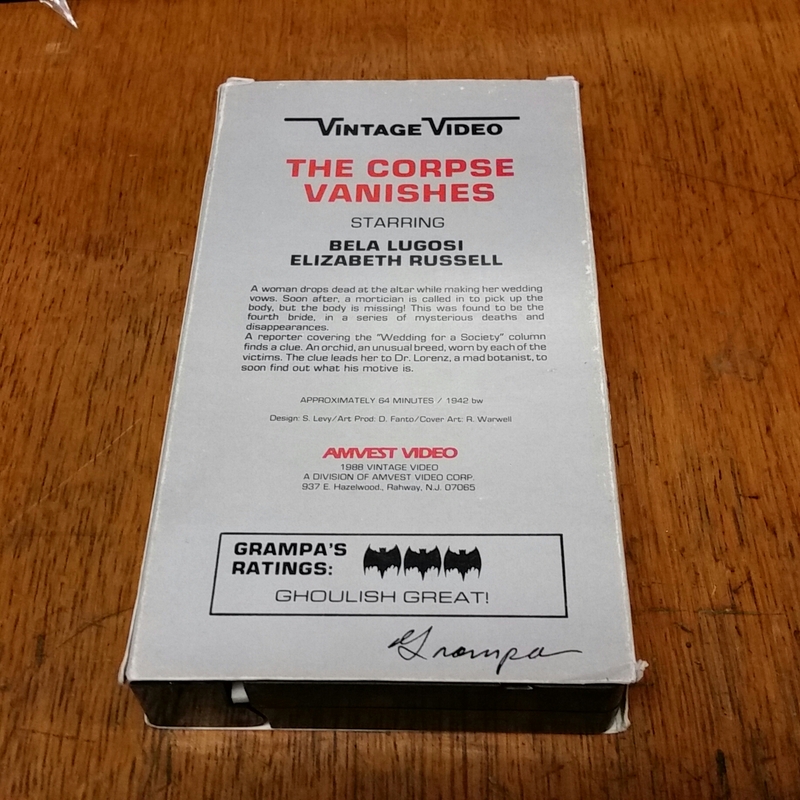 It’s maybe not the coolest release of the film in the budget VHS realm – that would undoubtedly be the Grampa Presents version of it, which I own but haven’t written about (you can only go to that well so often, dig?) – but as a maiden voyage into Goldstar’s series, I was pleased with the decision. I’m a Bela fan, and I (inexplicably?) like the movie, so hey, why not? As I said, these tapes all feature the same general layout. 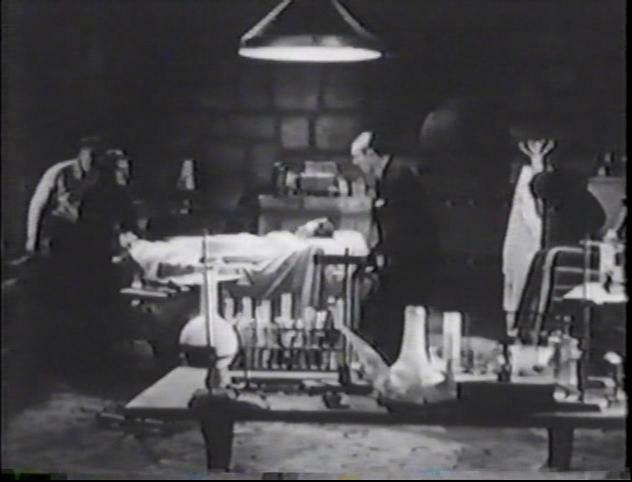 That is, the bloody Tales of Horror banner across the top, the volume number in the bottom-right corner (fittingly placed in a pool of blood), and in the middle of the cover a diagonal film strip featuring a somewhat- pixelated image from the movie along with the title above it and a starring (or in Dementia 13‘s case, directing) credit within. It’s not exactly something CBS/FOX would have put out back then, but it nevertheless gets the point across. I like it! One may be tempted to be irked by the fact that a large plot-point is given away on the front cover here, but then, an even larger plot-point is given away by the very title of the movie. Oh, did I just spoil a 70-year-old movie for you? My bad, dawg. Aside from the extreme early-1990s-ness of this tape’s presentation, I’m fond of it for another reason: It reminds me of my grandmother. No, she never had any of these tapes at her house, but she had budget videos like them. I assume she got them all from Avon. There were a bunch of them though, and from the sparse cover art to the (relatively) obscure manufacturers, as a young tape-head I got a big kick out of them. 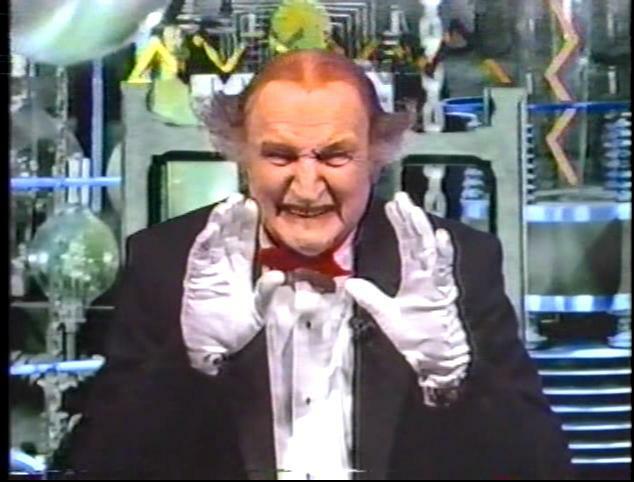 One time, she even gave me the copy of 1935’s Scrooge that had been sitting in her VHS cabinet for years; I forget who made it, but when I took it home, it promptly got stuck in our VCR. Look, you got a budget VHS tape, you took your chances. That’s how it went. Here’s our back cover. Gotta love the additional blood drips along the top! I have to say, this tape features a pretty decent synopsis of the movie, waaaay better than I would have ever anticipated beforehand. That’s not a shot at Goldstar or anything, it’s just that with budget tapes, the descriptions on the back could range from good, to mediocre, to downright amateurish. I posit this one falls more towards the “good” side of that scale. I might have re-worded the second sentence a bit, but that’s the only real issue I have with the description. 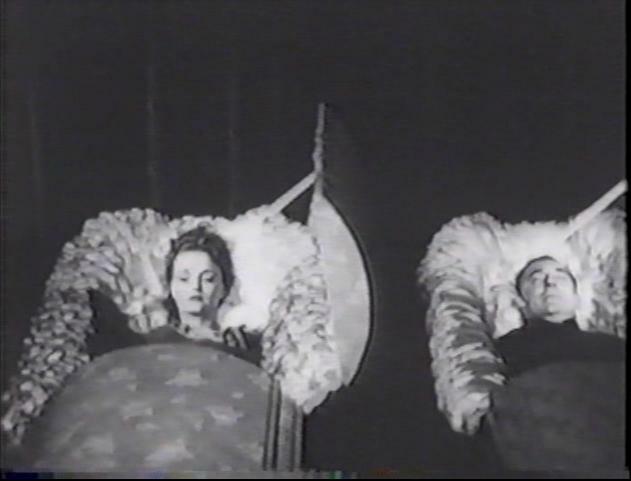 Also, huge, HUGE props for not saying saying this is Bela’s only color film (more on that in a bit). Also, I have a feeling that last sentence was intended to be tongue-in-cheek. There were apparently more than a few companies using the name “Goldstar” back in the day. The one I’m familiar with was the electronics manufacturer (example). So is that the same company that put these tapes out? I’m guessing it’s not; GoldStar of electronics fame capitalized the “S” in “Star.” A look at the copyright info at the bottom of this back cover says that this Goldstar did not. I keep this investigative work up and I’ll have to apply for a private investigator license. Scared to Death does feature a couple of interesting gimmicks. First off, it’s Bela’s only starring color film. The myth that it’s his only color film period has floated around forever, and while that might make a good selling point on the back of some cheapo video release somewhere, it’s not technically true. I mean, for all intents and purposes it’s true, but technically, it’s not. (He was in at least one color film as a bit player, and apparently there’s one or two other instances of color Lugosi, too). 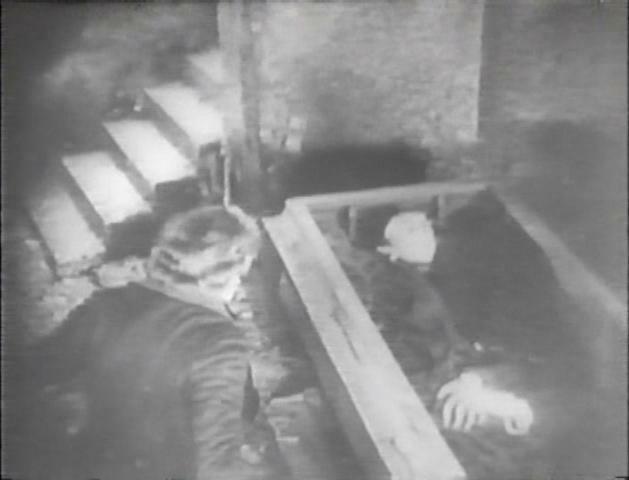 Also, the film is notable for being told from the point-of-view of a dead woman. 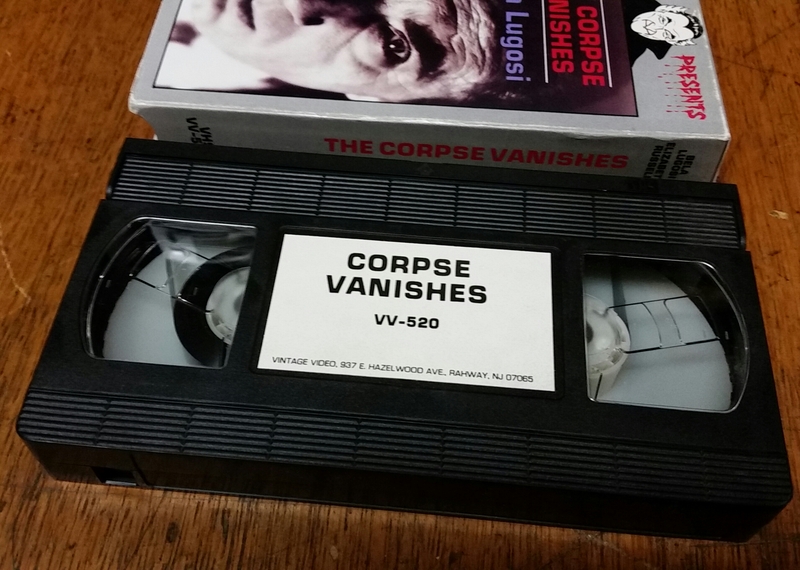 As in, it’s narrated by a corpse. Since it’s told in flashback, yeah, the title totally spoils the whole thing before it ever has a chance to build any momentum whatsoever. While an interesting idea, especially for a poverty row production, the whole idea doesn’t really play that well; every time the story gets moving, the film will jarringly break to the same shot of the dead woman on a morgue slab, she’ll say a line or two (usually just a brief statement, which is almost comical), and then it’s back to the movie proper. Like I said, it was an interesting idea, and it ‘makes’ the movie, but in truth, it doesn’t work. Scared to Death‘s plot involves one Laura Van Ee, our body-on-the-slab who, prior to that, is unhappily married to one Ward Van Ee (yes, that’s really his last name), the son of Dr. Joseph Van Ee (Zucco). 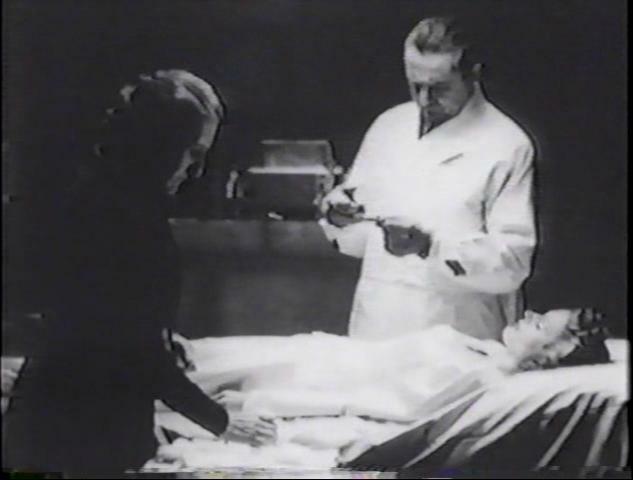 Dr. Van Ee runs a practice, and is keeping Laura there against her will. Apparently she’s stressed out or something along those lines; she vehemently denies that she needs medical care, and since it’s established early on that her marriage to Ward is in a shambles, and we know right from the start that she winds up dead, it can automatically be assumed Ward and his father are behind the whole thing. Soon after, disturbances involving Laura increase. 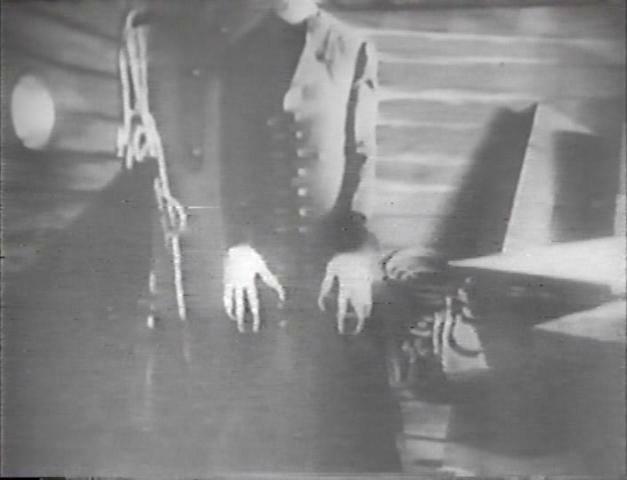 A dummy head made to look like her arrives in the mail, and green masks are seen floating about outside the windows. Clearly someone, or something, is trying to drive Laura batty! The fact Laura has a severe aversion to blindfolds, and thus is presumably hiding something, only adds to the drama. (Also, I’m not sure how we’re supposed to feel sympathy for our ostensible heroine when she claims she’s “alone and friendless,” but is nasty to pretty much everyone.) At one point, Zucco gets conked on the head, and Bela and/or his diminutive assistant pop in and out of secret doorways, so yeah, there’s definitely something afoot at the facility. Also on the premises are an idiotic private detective, a smartypants maid the detective is in love with, and eventually, a pushy reporter and his annoying girlfriend. There really aren’t any likable characters in the movie. Dr. Van Ee and his son, despite first impressions, are probably the best of the bunch, though that’s not saying much. The private detective is there for comic relief, but quickly makes you want to shatter your TV in a fit of fruitless rage. The reporter is, well, he’s a typical movie reporter, though he’s also the closest thing to a hero in this movie, which is a wash since he’s also pretty nasty to everyone in his vicinity, not the least of which is his girlfriend. Eventually it comes to light that Laura, years prior, had given her first husband up to the Nazis (! ), and though believed dead, it turns out he became the assistant to Leonide, who was a magician. And then Laura dies. Like I said, the plot is kinda all over the place, though at only a bit over and hour, it isn’t all over the place for very long. I probably shouldn’t like this movie as much as I do. Bela isn’t in it a whole lot (come to think of it, neither is Laura; the reporter and detective get much of the running time here), the plot is disjointed and silly, and the comic relief totally falls flat time and time again. And yet, I do like the movie; it’s such a sincere bit of post-war, matinee goofiness, that I can’t find myself hating it. It’s a movie that couldn’t have really come from any other time but the late-1940s, and the color-aspect of it really does stand out from the rest of Lugosi’s poverty row oeuvre. It’s stupidly entertaining, if nothing else, anyway. 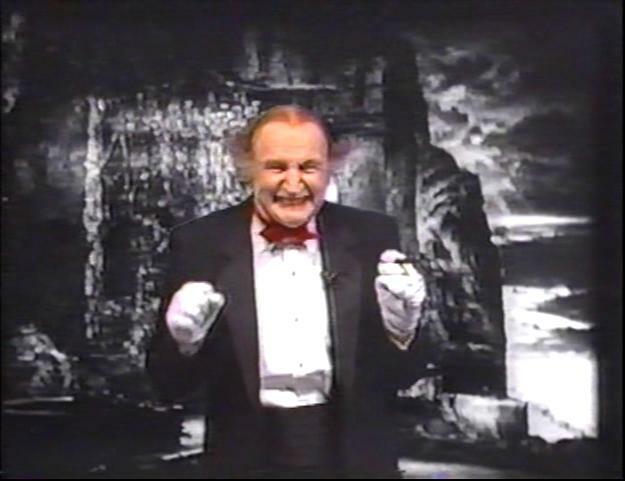 I think, like the Grampa Presents tapes, one of the most interesting things about this Tales of Horror series is how movies that weren’t going to to scare anyone in the least were dressed up to appear absolutely terrifying. Oh sure, Night of the Living Dead is an exception, but by and large, stuff like Scared to Death wasn’t even remotely frightening. Maybe to very small children, but to an adult? I seriously, seriously doubt it. That’s not a bad thing though. I always get a kick out of how these cornball old horror and sci-fi movies were dressed up and made to look like legitimately scary features. It’s the same ideal that amuses me about budget video releases of b-westerns starring John Wayne, made to look as if they’re “real” Wayne features and not something that had been floating around the public domain for eons. In summation, Goldstar did a fine job with what they had; they made their series of videos look visually appealing, but without being prohibitively expensive. 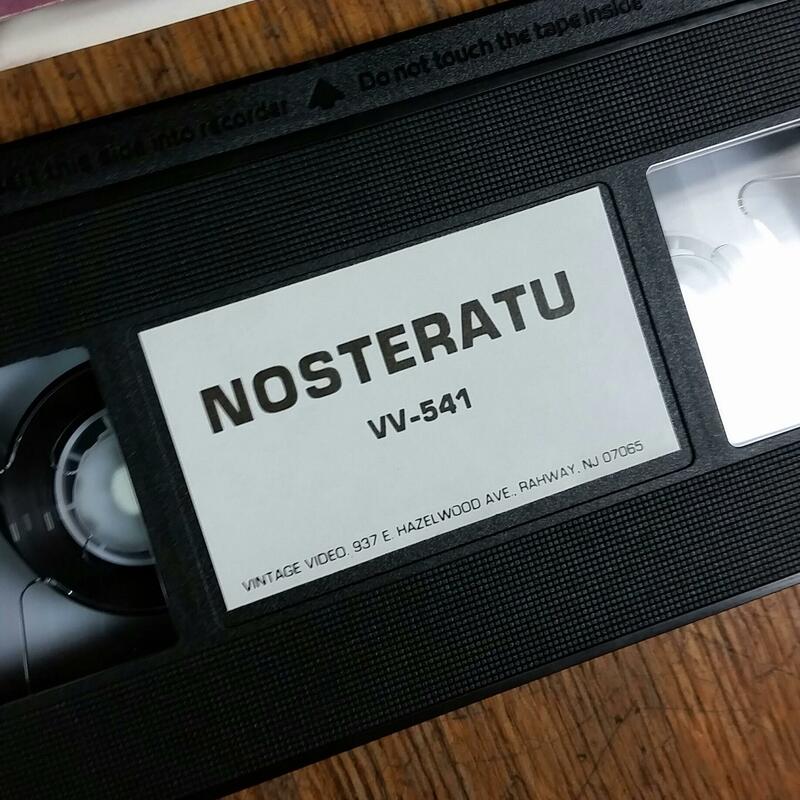 The whole Halloween-ish aura that surrounds them is still cool to this day, and if you’re into budget VHS like me, that counts for a whole lot. The Tales of Horror series ran the gamut of cheesy old horror movies like this one, to 1950s sci-fi (Indestructible Man, Monster From Green Hell), to even some late-1960s stuff (the previously-mentioned Night of the Living Dead). There was even more Goldstar could have put out, and I presume they would have had this series run longer. But, the series as released still holds plenty of interesting, albeit mostly expected, stuff; it’s a pretty solid line-up of vintage horror, if nothing else. Online searches turn up more than a few of these tapes for sale; while they’re not as common as, say, a UAV or Goodtimes version of a given movie, they *do* pop up frequently enough, and usually on the cheap side. Seems Goldstar was able to get fairly decent distribution for the line, but subsequent interest nowadays is, except for me, a bit low. Still, this is all certainly a nice change of pace from my spending too much money I don’t really have on Grampa tapes. I hate to say it, but I sense my fascination with these tapes is only going to grow. I can’t just have one volume! And you know, I’m perfectly okay with that! 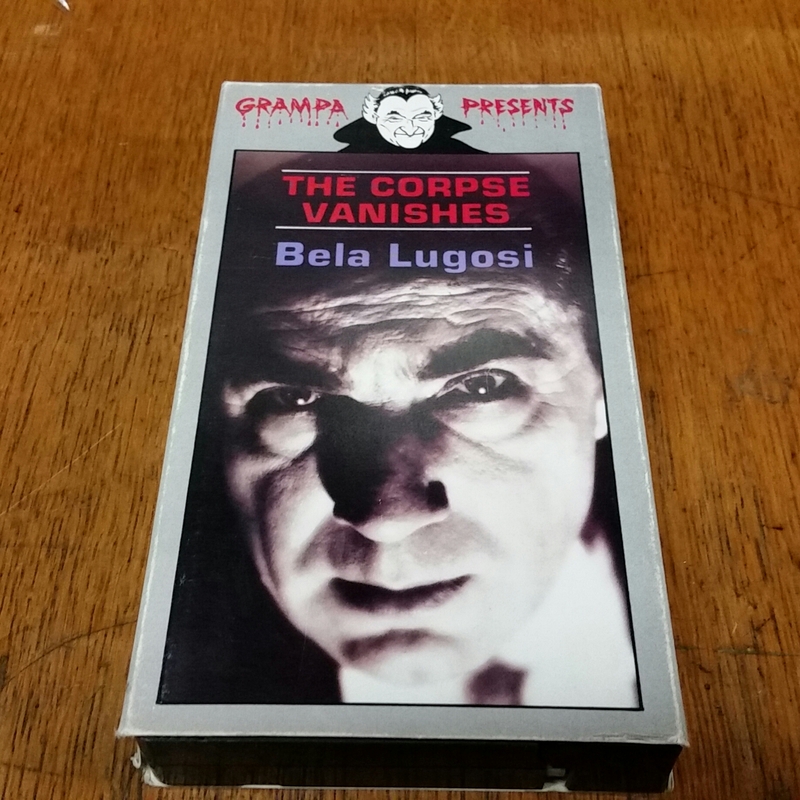 This entry was posted in Uncategorized and tagged 1990s video, 1992, article, bela lugosi movie, budget vhs, cheap vhs, film, goldstar home video, goldstar scared to death, goldstar vhs, goldstar video corporation, movie, movie review, overview, poverty row movie, public domain movie, review, scared to death, scared to death 1946, scared to death 1947, scared to death bela, scared to death bela lugosi, scared to death film review, scared to death lugosi, scared to death movie review, scared to death tales of horror, scared to death vhs, tales of horror goldstar, tales of horror vhs, vhs, vhs review, vhs tape, vintage, vintage release, vintage vhs, vintage video on August 16, 2017 by neovideohunter.